If you’ve never experienced a sea turtle nest hatching it really is a wonder of nature!! Here is a video of a Sea Turtle Nest Hatching from the Ocean Isle Beach Sea Turtle Protection Organization showing a recent Sea Turtle nest hatching. Also known as a “boil over”. You can help by observing the rules at the bottom of this page! Here is a video of a a Loggerhead still in the process of laying eggs. The video shows the various stages as she completes her nest, including burying, packing the sand with her shell, camouflaging the nest, and finally the laborious trek back into the water. Founded in 1995 by Jean Beasley and opened officially in 1997, the Karen Beasley Sea Turtle Rescue and Rehabilitation Center. 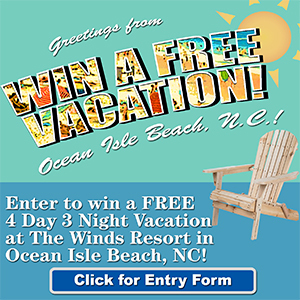 is located in Topsail Beach, NC. Since 1997 the center has rehabilitated and released more than 300 turtles. This non-profit facility is entirely staffed by volunteers and receives no state or federal funding. • * Providing an experiential learning site for students of biology, wildlife conservation and/or veterinary medicine from around the world. A new $1.4-million turtle hospital with 13,600 square feet was opened in 2013 and houses more than four times the number of turtles as the old building. From Wilmington: Take U.S. 17 north toward Jacksonville. Turn right onto N.C. 210 East, then right onto Roland Avenue, then right onto South New River Drive. Take the first right onto South Topsail Drive, which turns into South Shore Drive and then North Anderson Boulevard. Turn right onto Davis Avenue, and take the first left onto Carolina Boulevard. The facility is across the street from the water tower. Do Not Disturb: If you see an adult sea turtle coming on shore, stay quiet and keep your distance! Otherwise she may get scared and go back into the ocean without nesting. They are an endangered species and it is a federal offense to harass them. Turn Off All Flashlights! Lights may scare or confuse the adult female and cause her to leave without nesting. Lights Cause Hatchlings To Go In the Wrong Direction: Please turn off all outside lights each night. Also if there are curtains or blinds use them so your indoor lights do not lead the hatchlings away from the ocean. Never Pick Up A Hatchling. It is critical that they crawl on their own. Do Not Disturb The Nest Area. Watch for the nest markers. Stay Off Sand Dunes & Do Not Pick Sea Oats. Sand dunes provide critical habitat for sea turtles and help prevent flooding during times of extreme tides and storms. Foot traffic kills plants and severely damages the sand dunes. The penalty for failure to adhere to this requirement is a $100 fine. Help Us Keep Our Beaches Clean -Sea turtles may mistake a plastic bag or other forms of litter for a jellyfish (they eat them). All personal items and equipment must be removed from the beach each day- these items may trap a sea turtle. Please Fill In All Holes On The Beach When Done Playing.- Holes can trap sea turtles and are a safety hazard to humans. Keep Dogs On Leashes At All Times! No dogs shall be permitted on the beach strand between the hours of 9:00am and 6:00pm during period of Memorial Day through Labor Day regardless of whether they are leashed or not. Fireworks can scare off nesting sea turtles and leave behind trash that may be mistaken for food by marine wildlife.- Discharge of fireworks is not permitted per North Carolina state laws. Please Report all sightings of nesting sea turtles, dead turtles, unmarked nests or crawls (looks like a bulldozer came out of the water) to your area Turtle Organizations – just about every NC beach community has one.